Hello and a happy last day of July! If you’ve seen on Instagram, I’ve been trying out yellows for our pantry door. In a sea of white, I’ve been itching for more color in paint and fabric in the kitchen. 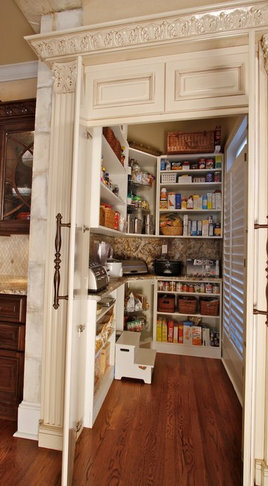 Here are some pantries I pinned for my inspiration. 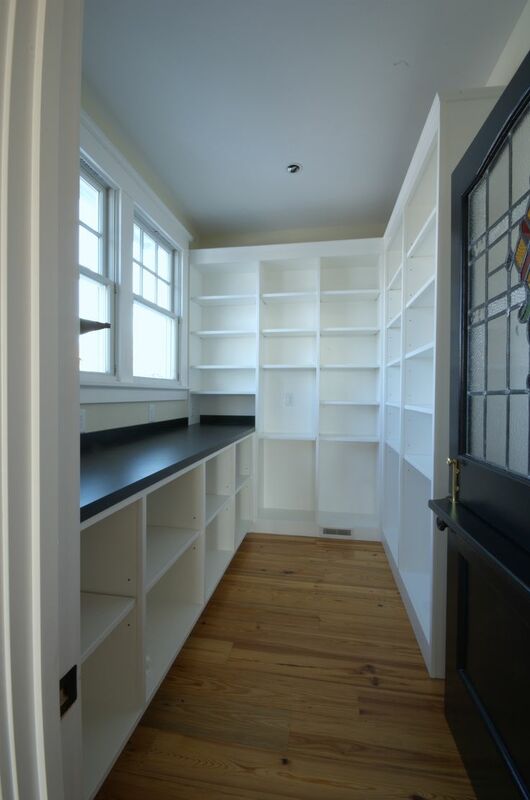 I wanted: lots of storage and a counter in the pantry that I could put the microwave, toaster, blender, etc. on to keep the main kitchen counters uncluttered and contain the mess. could not find source on this one – anyone? 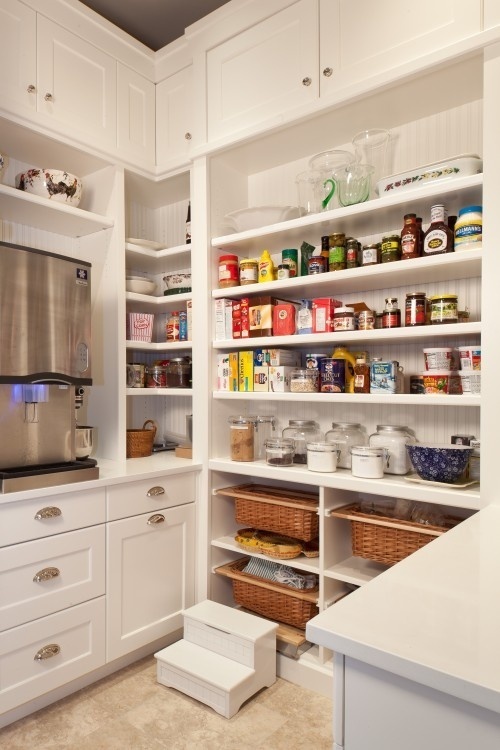 Much more pantry to come! 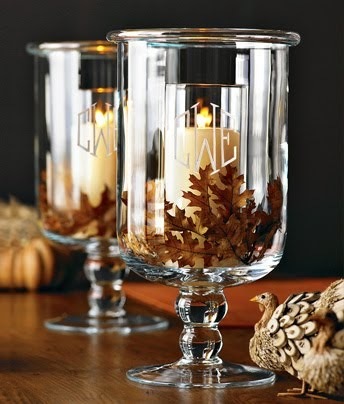 Do you love any of these inspiration pictures? 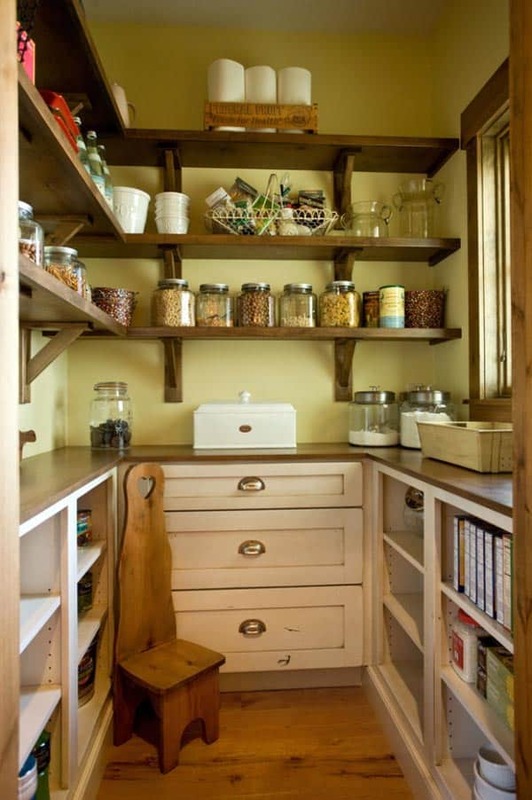 What would be in your dream pantry? Another vote for second color from the bottom. 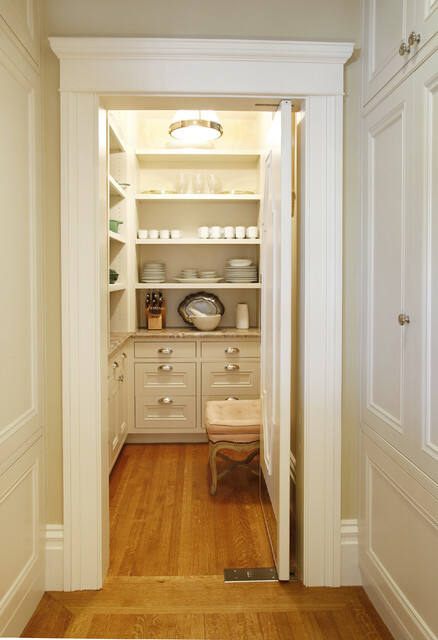 Love the pantry by Tyner. You dream big! Send the maid over here, please! I think the top and second from bottom are too bright. The second from the top is my favorite. It seems just muted enough, but still yellow and when it's on the whole door it will be plenty bright. Lots of shelves and outlets for table top appliances, a freezer, and a big deep sink. 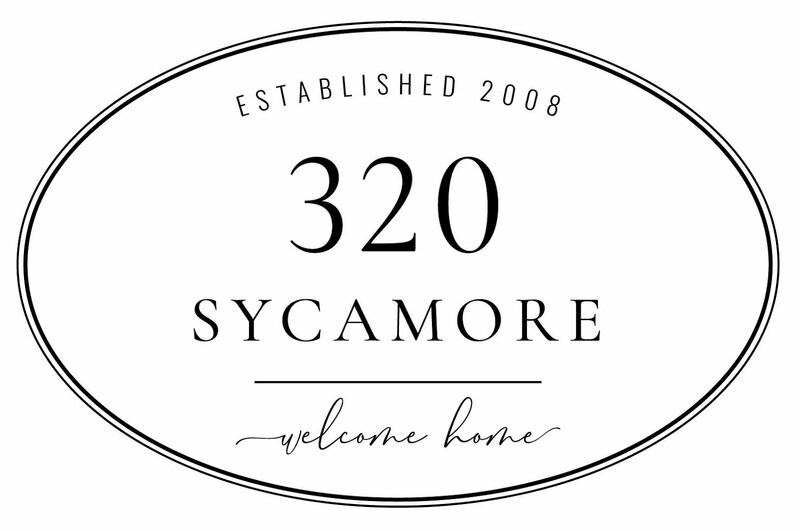 I painted my front door Sherwin Williams June Day and love it! It's bright and cheery without being too mustard or too lemon! Whichever color you pick will be so pretty! Thank you for the recommendation! Just the name is lovely -- I would love the job of naming paint colors! Agree! Most of my prep work happens in the kitchen, but it helps to have the toaster, blender, and microwave in there. It seems those are the messiest. Second yellow. it's a pop of color but doesn't scream.